Armenia will host the World Congress on Information Technology or WCIT 2019 this October. The global event which is organized by the World Information Technology and Services Alliance (WITSA) with the assistance and under the auspices of the Armenian government will bring together IT experts, officials and senior representatives of leading IT companies. The Union of Advanced Technology Enterprises (UATE) is engaged in the preparation of the event. WITSA, the organizer of the event, is a leading consortium of ICT industry association members from over 80 countries around the world and represents more than 90 percent of the global ICT market. WCIT 2019 represents a big conference of IT stakeholders who will gather to discuss the future and development of global trends in IT sector. “WCIT 2019 is quite important event when it comes to the topic that will be discussed. The main topic is the future and development of technologies in different industries starting from automotive industry, smart cities, agriculture, industrial automation, global warming and others. We have three days full of discussions. Next week we will publish the agenda, and the website where you can find the details about the event,” President of WCIT 2019 Alexander Yesayan told Armenian News-NEWS.am. He says the Congress is expected to bring representatives from around 60 countries and more than 2,000 delegates. However, the specific of this event is that senior level people will be present, and this is what differs it from a regular conference. “We are really in a broad discussion with a lot of companies. You can name all leading IT companies that you know, and they are among them. Some are approaching us. Automotive sector for example, they are discussing presence at the exhibition, even sponsorship. I can state that although it is an early stage, we are definitely sure that the event will be the most successful one in terms of the topics and representatives that we will host. We will have top leaders of national giant companies from France, UK, Taiwan. We have huge representation from Taiwan, U.S.,” Yesayan explains. Karen Demirchyan Sports and Concerts Complex is selected as a venue for this huge IT event, that will feature a conference, debates on the panel, keynote sessions and an exhibition with booths of international companies. The interior of the Complex will be shifted to look modern, but the organizers also want to keep the old style of the complex, Yesayan says. In addition to senior representatives of IT companies and experts, WCIT 2019 will bring together officials dealing with IT issues in different countries. “We also have ministerial sessions featuring IT ministers from different countries. We are finalizing the lists of ministers and the topics. Digital agenda of different countries is very important. As a host country, Armenia we will play a big role and we will show our digital agenda,” Yesayan says. One of the topics to be discussed is the concept of smart cities. Moscow City expressed interest in becoming one of the general sponsors of the event and present a smart city topic. “We are discussing with Paris and other cities the idea of hosting mayors of different cities, and to have a panel discussion on development of the services of the cities in digital perspective,” he adds. Why was Armenia selected to host the event? Alexander Yesayan says the power of decentralization model was the core of Armenia’s application to WITSA when his colleagues submitted the proposal to host WCIT in 2014. During the previous years the Congress was held either in a very large country, or in a developed country. 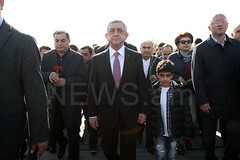 However, it was a new concept that helped Armenia in securing an opportunity to host the event. 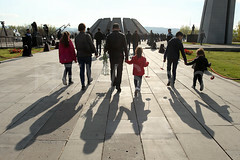 “Armenia is not that large to attract that kind of event. This is the reason we had to show something interesting to attract WITSA’s attention. My colleagues have done a great job when it comes to showing the power of decentralization model. Nowadays you do not have to be in Silicon Valley to run a successful startup, you can do it in a small country. We presented the power of decentralization,” WCIT 2019 President says. WITSA President Mrs. Yvonne Chiu will visit Armenia next week to see the progress of preparation for the Congress. There will be also a delegation from Malaysia, a country that will be the next host of WCIT, and they will have an in-depth discussion regarding the organization of the event.